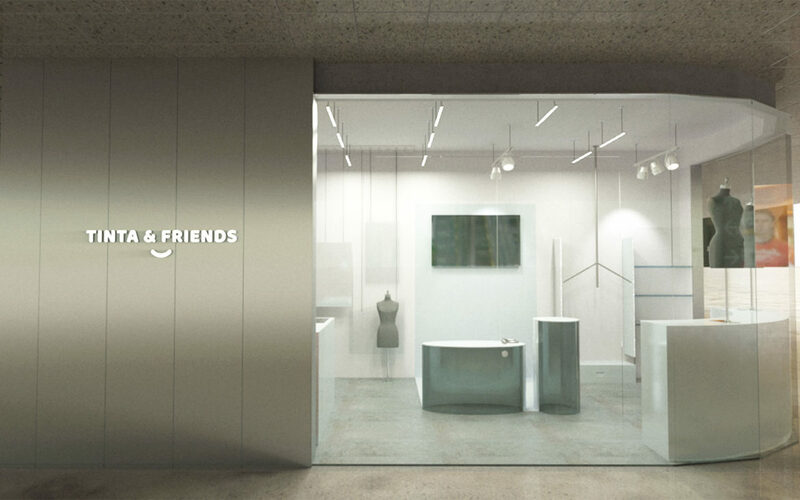 Tina & Friends, a kids clothing brand approached us to develop their flagship store based on their new brand identity. Traditional an online only shop, they decided to dip their feet into running a brick and mortar via a small mall location. To help them, we came up with the idea of merging traditional. kiddy pastels with raw materials to come up with a more sophisticated aesthetic that both children and their parents would enjoy being in. We used custom electrolyzed metallics with colored glass to portray a pastel monotone throughout the shop.